Cloud adoption continues to dominate enterprise IT infrastructure strategies with more than eight percent of organizations having already joined cloud bandwagon in a big way. In order to understand the course of cloud computing adoption, we should look at the five most distinct trends that will be dominating cloud adoption in the near future. With advent of business level cloud automation in the year 2015, the security landscape will be controlled by enterprise level automation instead of being managed by DevOps engineers. Enterprises will devise and specify their individual security policies and will expect their business process to be managed with help of smart software that will be designed to facilitate the proposed business processes. Automation will also be a hot topic for software testing in order to accelerate software release by IT organizations. Test automation is certainly going to influence development of software applications in 2016. There would be a paradigm change in the way enterprises will implement vulnerability management, intrusion detection and perimeter assessment because legacy methods will not be effective due to distinct characteristics of cloud. Cloud environment will necessitate changes in network implementation, operating system management, and measures for database security. There is a greater need to dynamically adopt cloud computing by abandoning the concept of cloud computing as a just one more category of IT outsourcing. Holistic cloud adoption must involve getting rid of the traditional systems of documenting IP addresses, physical locations and host names and other security analysis frameworks. These procedures are destined to become obsolete with comprehensive adoption of the dynamism that is characteristic of cloud computing. Accelerated cloud adoption is certainly going to consolidate its position as harbinger of new technologies and greater capabilities. New testing scenarios will be driven by Internet of Things (IoT). Cloud has brought about a revolutionary change in testing environments since there were only isolated instances to be tested in the days prior to IoT. It should be understood well that the IT landscape is driven by interconnection of different systems due to cloud assisted technologies. Cloud computing will usher an age of innovation with development of new development tools that will enhance capabilities of enterprises to use the latest cloud based applications. Cloud is highly regarded for its cost efficiency, scalability, and flexibility. The service model of Infrastructure as a Service essentially empowers enterprises by delivering computing capabilities including operating systems, networking infrastructure, storage and servers. IaaS obviates cost intensive traditional process of building on site infrastructure. Conventional method of creating infrastructure can involve huge upfront costs of purchasing hardware and networking equipment. IaaS enables organizations shift from CAPEX to OPEX model and ensures excellent cost optimization. Infrastructure as a Service can be availed as a public, private, or hybrid model to build a sustainable foundation of enterprise cloud infrastructure. IaaS has remarkable potential to function as a robust foundation of the entire infrastructure of cloud computing followed by PaaS for all development initiatives and SaaS to enhance productivity. The ongoing tug of war like situation between private and public cloud is set to ease due to adoption of hybrid cloud by growing number of enterprises. 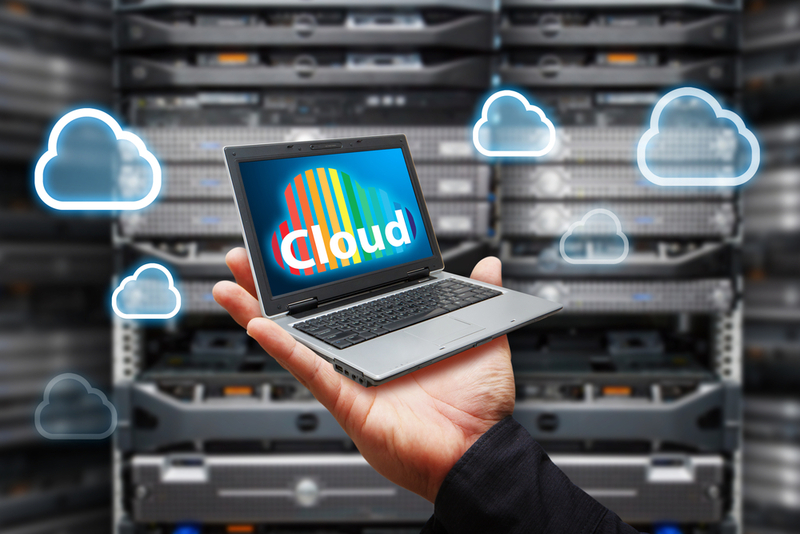 It is a well established fact that hybrid clouds facilitate organizations to create customized cloud environments that offer excellent compatibility with specific requirements of any organization. More and more enterprises will be able to leverage internal as well as external cloud platforms to efficiently handle workloads as per their unique requirements. This will also boost emergence of cloud brokerage service providers who will be supporting enterprises in terms of cloud consumption by providing cloud resources based on pay-as-you-go billing models. Hybrid cloud models offered by cloud service providers will enhance simplicity of cloud adoption due to remarkable customizability offered by the flexible cloud arrangements.